in different fields of study for Bachelors, and Masters. you can apply for BS - Bachelor of Science, BS (Hons.) - Bachelor of Science (Honours), B.Sc. - Bachelor of Science, BBA - Bachelor of Business Administration, Pharm-D - Doctor of Pharmacy, and BSCS - BS Computer Science, MS - Master of Science, M.Phil - Master of Philosophy, M.Sc. - Master of Science, M.Com - Master of Commerce, MBA - Master of Business Administration, and MSCS - MS Computer Science, . 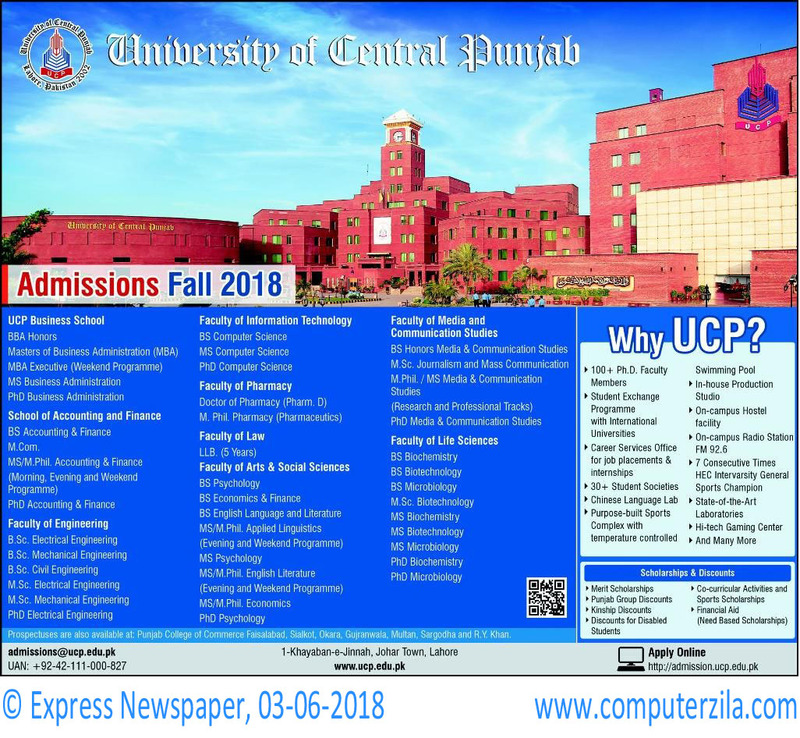 UCP Offers admissions in different departments. merit and need based scholarships are also available for need and meritorious students under financial aid. kinship discounts are also available. University Address 1-Khayaban-e-Jinnah, Johar Town, Lahore.